When we last left the Oscars, the musical La La Land had won Best Picture and the cast and crew had gathered on stage to thank their loved ones. Yippee!!! Sorry, there’s a mistake. Moonlight won the prize. One year later, it’s time to revisit the scene of the most embarrassing snafu in awards history. (And certainly the only one that involved a star-struck CPA). All we know for sure about the 90th annual Academy Awards is that host Jimmy Kimmel will crack some pointed zingers . 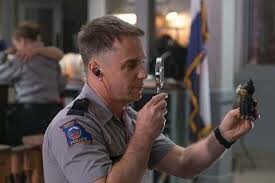 . . and, yeah, Sam Rockwell will take Best Supporting Actor. Everything else is a wait-and-see-and-hope. Of course, that uncertainty isn’t going to stop me from making Oscar predictions in all 24 categories. Place your bets and cross your fingers that presenters Warren Beatty and Faye Dunaway will get a little redemption, Bonnie and Clyde-style. After picking up top prizes at the Golden Globes, the Screen Actors Guild and the recent BAFTAs (i.e., The British Oscars), only a fool would pick against this searing drama about a mother’s quest for justice in the wake of her daughter’s murder. I pity that fool! It’s a stellar, issue-oriented film with just enough backlash to make it a provocative choice. Yet I wouldn’t be surprised one bit if the Academy went rogue and chose Jordan Peele’s groundbreaker — which, a full year after its theatrical release, remains part of the pop-culture fabric. One more note: Had the delicate gay romance Moonlight not won last year, I’m convinced the similarly themed Call Me By Your Name would be in the conversation. The Academy is progressive, but perhaps not that progressive. Can I just brag for a second? 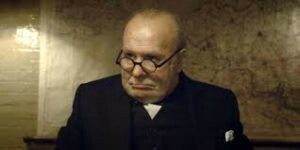 I saw Darkest Hour over Labor Day weekend at the Telluride Film Festival and predicted in a YouTube video that Gary Oldman had this award locked up. Impressive old-age makeup, beloved historical figure, impassioned monologues, triumphant performance . . . this is a role that screams “thank you so much!” The veteran British actor has dutifully showed up at every ceremony, shaken every hand and taken every selfie. He’s ready for his shining moment. Breakout start Timothee Chalamet will get his due soon enough. P.S. I still can’t believe Denzel Washington ended up in this category. Why, James Franco, whyyyyy? I’m a bit shocked this category hasn’t been more contested this awards season. You could make a case for any of these venerable leading ladies — in fact, there was a hot second in early December when pundits insisted Meryl Streep was taking her fourth Oscar for her portrayal of Katharine Graham. 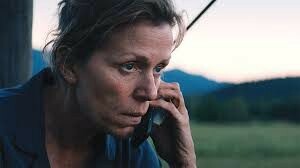 But Frances McDormand has been sweeping through with relative ease. 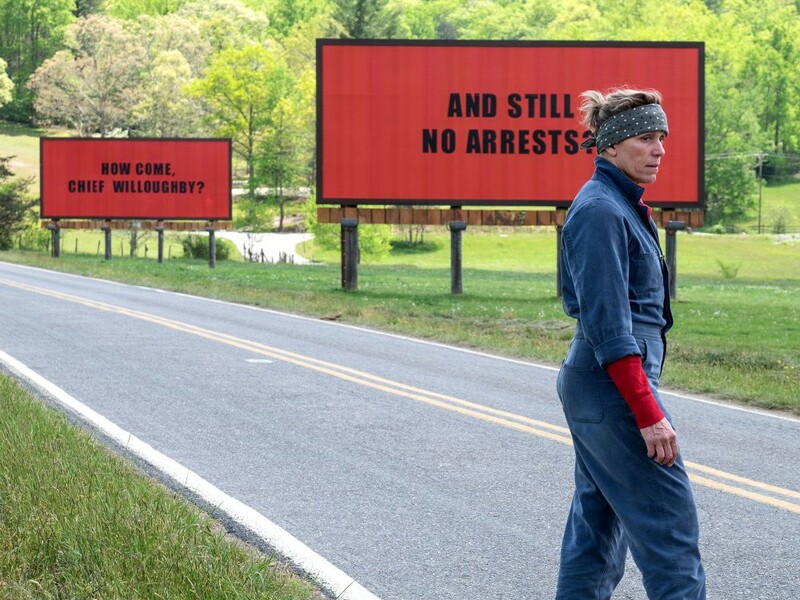 Maybe it’s because her Mildred character in Three Billboards is such a one-woman force of nature. Nobody wants to tangle with her. Man, I’d love to see her and Margot Robbie’s scrappy version of Tonya Harding duke it out in a boxing ring. 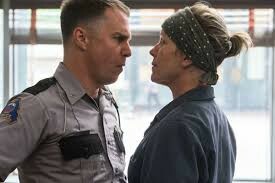 The only way Sam Rockwell isn’t winning this award is if. . . . wait, I’m thinking. Well, he did use the F-word while hosting Saturday Night Live last month. Nope, that’s not enough. Even those who rail against Three Billboard’s many loose ends agree that Rockwell’s racist, sexist, ABBA-loving police officer is a stand-out. Never underestimate the power of a worthy character redemption arc. Willem Dafoe’s quiet, almost invisible performance in the low-budget The Florida Project is no match. Like Rockwell, Allison Janney has amassed quite the trophy collection over the past several months. 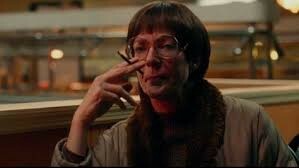 The veteran actress and multi-Emmy-award winner is the one to beat — if only for the meta scene in I, Tonya in which her embittered character sneers to the camera, “Well, my storyline has gone to s — t!” FWIW, I do think Metcalf has an outside shot here as Ronan’s blue-collar, put-upon mother. She’s the real heroine of Lady Bird. They call themselves the Three Amigos. 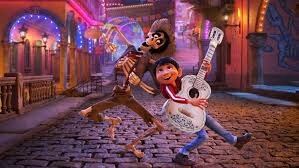 Now friends and auteurs Alfonso Cuaron, Alejandro Inarritu and Guillermo del Toro are poised to win four of the last five Best Director awards. (Applause for Gravity, Birdman and The Revenant, respectfully). Del Toro’s old-fashioned monster movie is visually sumptuous and a technical marvel. With The Shape of Water looking in on Best Picture, this seems like a surefire consolation prize. Still, Peele delivered a masterpiece in his feature film debut and he would be the first African American to take it. Can Get Out go from the Sunken Place to the Big Stage? Clink-clink-clink.